Sebastian Zeitz and Stuart Kennedy go head to head in a training session at the Wavegarden Cove demo center in Spain. March 21, 2018. We love seeing our favorite surfers surf waves that aren’t only perfect but are also waves that we mortals can get down on. Seabass and Stu Kennedy are two smooth surfers hailing from Hawaii and Australia who always make it look easy. Watching them surf a controlled wave such as this makes a mere mortal wonder if they too can blow the tail and wrap buttery smooth turns. Wavegarden told us that Seabass has had at least one session every year at the R&D demo center in the Basque Country since 2014. This time he brought Stuart Kennedy is one of Australia’s best. He’s super stylish in and out of a jersey, when he does put on the competitors’ penny it seems all of Australia turns out for him. “I have got Stu with me and I am excited to see how it goes”, said Zietz. “And I am more excited to just catch a million waves, cause that’s what I like to do”. Stu has been in and out of WSL events, on and off the tour and we’ve seen him in clips from around the world enjoying a variety of world-class waves. Although, he admitted this was his first wave pool experience. “It’s my first time to Wavegarden, pretty excited”, exclaimed Kennedy with a grin. 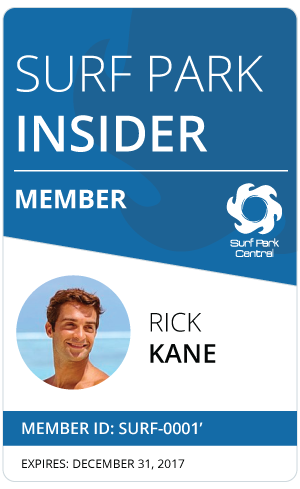 “I have never really got to surf a wave pool, so I am definitely pumped on sharing the moment with Seabass”. Seabass last visited the Wavegarden R&D center in 2016, testing the new generation technology. In that time Wavegarden has gone from offering one type of wave to over 30 different wave styles to choose from. (Welcome to the future). Each wave is different, similar to surfing in the ocean where everything is relatively unexpected. The height and shape of the wave changes making the man-made-wave experience more exciting. We’ll soon be seeing Wavegarden technology in Australia and we look forward to more of Seabass and Stuart Kennedy riding these URBNSURF locations.